Atheism and religious non-belief are often defined — as the very terms would suggest — by what they aren’t rather than what they are. As religious “nones” make up an ever-larger portion of our and other societies, social scientists and students of religion are beginning to make more inroads into understanding the varieties and experiences of atheism and non-belief. Are non-believers driven simply by an intellectual or emotional dissatisfaction with more traditional religious options? Are they simply less “wired for faith” than people in other religious categories? One thing is becoming clear: there are many ways to be a non-believer, some of which look very different and many of which still make room, in some form, for the supernatural. 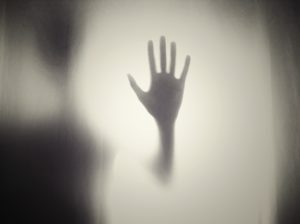 In a recently completed project Routledge and his colleagues devised experiments to investigate whether day-to-day fluctuations in mental outlook might make people more or less open to so-called “magical thinking,” be it a sense that everything happens for a reason, that supernatural forces are at work, or even that alien conspiracy theories are true. To do this, Routledge had participants in the study read a philosophical essay designed to emphasize an individual’s fleeting smallness in the universe (a control group read an essay that was merely “intellectually stimulating”). After their preparation, both groups were then surveyed on their openness to various supernatural or magical ideas. “We never expected that you can take atheists and have them think about meaning for a few minutes and then all of the sudden they’re going to be like radical believers,” Routledge says. “But the idea is that just at this basic cognitive level can you crack the door a little bit? Does having people think about meaning make them just a little more open to magical ideas? That’s what we’ve found.” Specifically, the non-believers who had read the essay on meaning became more likely than the control group to entertaining magical beliefs about extraterrestrials. “Some people are clearly oriented to thinking about meaning all the time,” Routledge says. “Other people just honestly don’t care for the most part. What we found was that individual differences in need for meaning was a very strong predictor of religiosity and related beliefs and practices.” Compared to the other predictors, Routledge says that need for meaning was the most reliable predictor of the level of a person’s beliefs in the supernatural. By developing measures of how the need for meaning varies between individuals and across time, as well as investigating other habits of mind like intuitive thinking, Routledge and his colleagues hope to refine their insights into the spectrum of beliefs and unbeliefs, where theism and atheism might be seen not as full opposites or even enemies, but rather as siblings.